Apizza Scholls: still one of my very favorite pizzas in the US (New Haven style), up there with DiFara’s in Brooklyn and Pizzaiolo in Oakland. 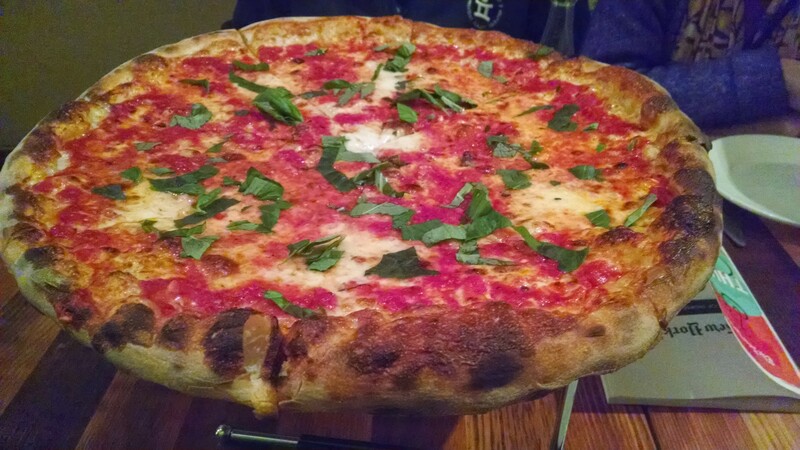 Amazing crust texture (thin, pliant, slight crunch), balanced tomato sauce… yes. Bagels and pizza: it’s not the water? A brief article from Slate earlier this summer suggests that if you’re making your own bagels, the water (New York or otherwise) doesn’t really matter– it’s the combination of gluten, slow rising, and boiling before baking. Similarly, an article in The Food Lab at Slice / Serious Eats suggests the mineral level in water has no significant effect on the quality of pizza dough. After a few disappointing restaurants in the past two months, I’m on a roll: the pizzas at Una Pizza Napoletana were the most delicious I’ve had in the bay area. A bold statement, but I stand by it. My eyes might have rolled back into my head. The crust was very good (slightly charred, and a bit chewier than the crispy sharded style I think of myself preferring– but it challenged my preconceived notions and won me over). But the real revelation was the outstanding flavor, from just the simple Neapolitan combination of buffalo mozzarella, olive oil, garlic, basil, and sea salt (in the case of the Bianca– the Margherita that added San Marzano tomato sauce was also fantastic). How was it so good? I do try to avoid “favorite”, especially for food like pizza where there’s so much personal preference about style. 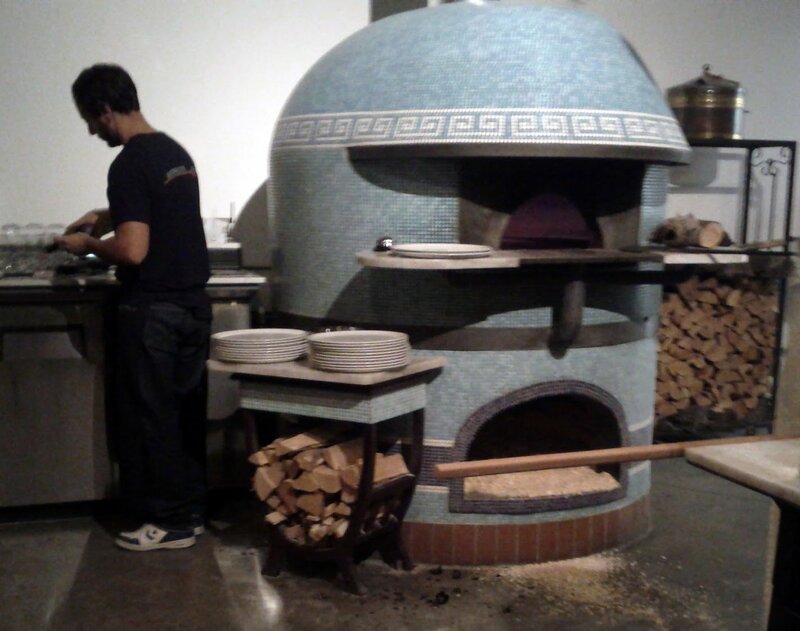 There’s plenty of good pizza in the Bay Area– I’ve been a big fan of both Boot and Shoe Service and Pizzaiolo. 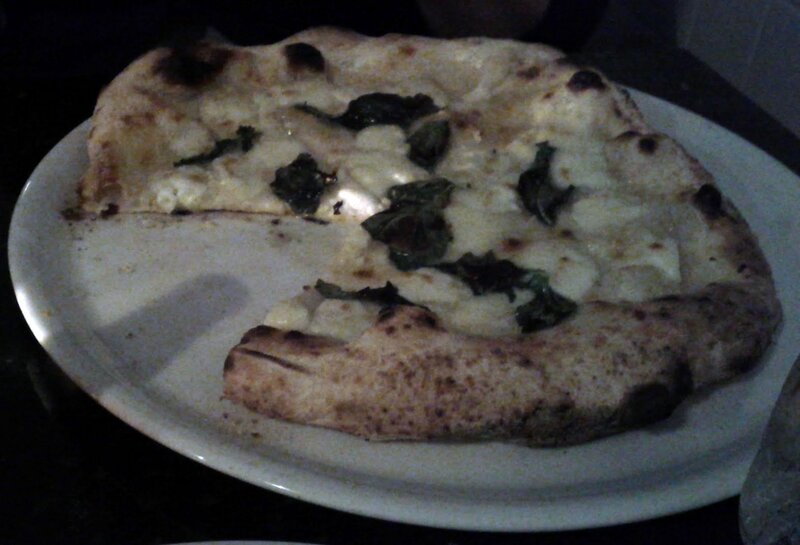 And Tony’s Pizza Napoletana was good when I went a few years back. I used to like Cheese Board and Goat Hill but they’ve drifted down my list. I like Little Star for deep dish, but that’s not usually the style I’m in the mood for. And Arinell is still where I like to go for a “cheap cheese slice late at night”. On the other hand, I found Zero Zero deeply mediocre. 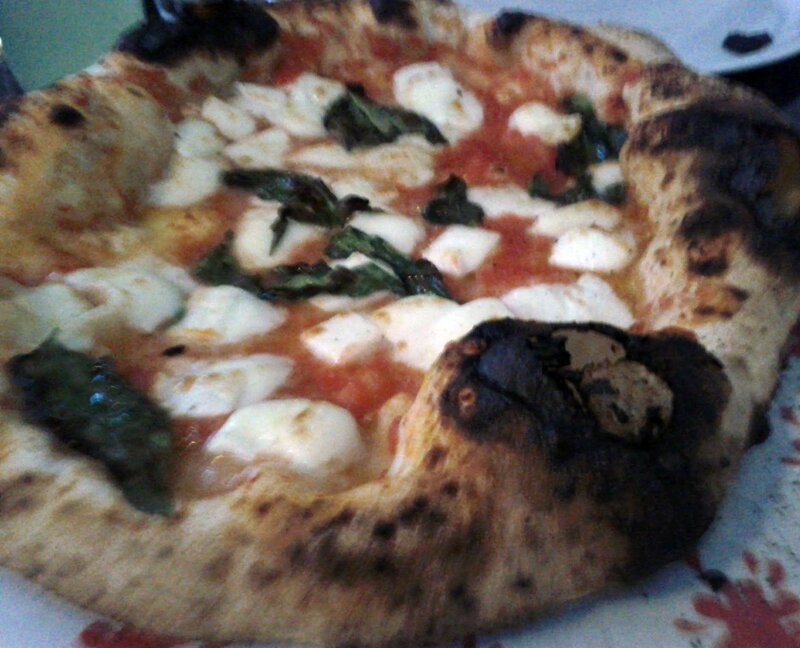 But I’ll definitely go back to Una Pizza Napoletana. p.s. 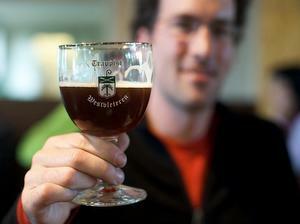 This was also my first time drinking Sanbitter, an intense non-alcoholic digestif reminiscent of Campari.